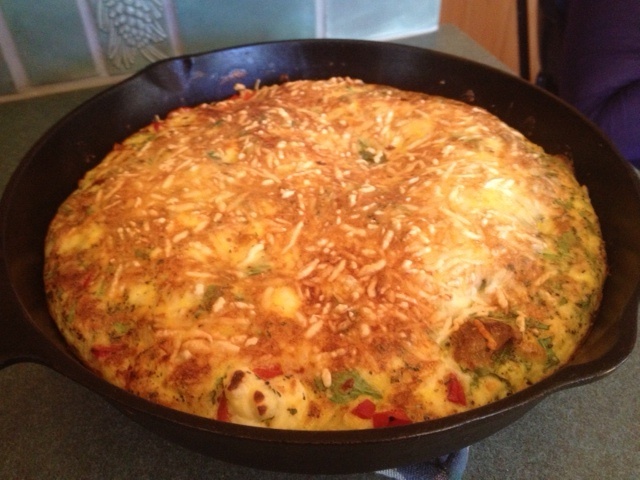 There is nothing more beautiful than a freshly made frittata. It can serve many and is great for a brunch or holiday meal. 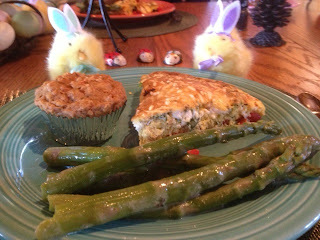 The Greek-style frittata I made for Easter last year. It was such a hit I plan on making it again this year. Another delicious frittata you might want to consider is a Spinach, Mushroom and Feta frittata. Strawberries with a dollup of Greek yogurt topped with a sprig of fresh mint. A celebratory, holiday meal for an amazing 480 calories! Happy Spring. Happy Easter. Happy Eating!